Glasgow�s first City Architect, he was born in Denny, Dunbartonshire, and trained in the Glasgow offices of John Bryce, 1831, and John Herbertson, before leaving the city to work for Hunt & Moffat in Doncaster, then returned to Glasgow and Bryce�s office. From 1839-54, he was in partnership with the Edinburgh trained James Brown, as Brown & Carrick, with whom he collaborated on a number of buildings in and around Glasgow. These include the Corn Exchange, Hope Street (1841, dem. c.1895); plans for Sandyford Place (1842-56, built by John Baird I); Renfield UP Church, 101 Renfield Street (1848, dem. 1965); Eglinton Street Free Church, Eglinton Street (dem. ); the Evangelical Union Church, Montrose Street (dem.) and the City Halls and Markets, Candleriggs (1852-86). Carrick became increasingly involved in designing buildings for the Town Council, and eventually succeeded Hume as Glasgow�s Superintendent of Streets, 1844-54. After Brown succeeded to an estate near Edinburgh and the partnership was dissolved, Carrick was appointed as Master of Works, c.1854-62, and as City Architect, 1862-89. As well as designing most of the city�s public buildings, e.g. district police offices, fire stations and utilitarian buildings such as markets and washhouses, he was appointed architect to the City Improvement Trust (set up in 1866), which cleared the slums of the old town around the High Street, Saltmarket and Gorbals. Although this scheme was responsible for the destruction of many of the town�s remaining medieval and historic buildings, Carrick ensured that measured drawings were made of the most interesting examples and commissioned Thomas Annan to photograph the condemned districts (published as Photographs Of The Old Closes And Streets Of Glasgow 1868/1877, 1878-9, rev. 1977). Carrick also supervised the redesign of George Square and the reshuffling of its statues (1865); the Trust�s planning of Alexandra Park, Alexandra Parade (1866-70) and Cathedral Square Gardens (1879), and designed the Baronial tenements at 109-29 Saltmarket (1871-88), which commemorate Queen Victoria�s Golden Jubilee of 1887. Cranstonhill Police Station (1857, dem. 1971), which had allegorical figures representing Law and Justice; the Marine Police Office, McAlpine Street (1882, dem. 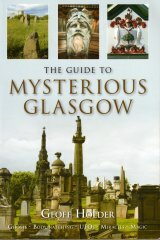 2002), which featured a carved axe, fasces and a small, polychrome Glasgow Arms; and the St George� Road Fire Station (1887), which includes carvings of firemen�s helmets, axes and hoses. A particularly interesting example is the curved facade he provided for the City Halls and Market, Candleriggs, which includes a large bowl of fruit at the apex of its pediment (1882-6). Sandyford Place, Sauchiehall Street (1840); Tron Kirk (arches), Trongate (1855); 73 Trongate (c.1857-8); Abercromby Model Lodging House, Abercromby Street (1860, ); Queens Drive Feuing Plans (1860); Queens Park, Queens Drive (1860-2, after Joseph Paxton); the Prince of Wales Bridge, Kelvingrove Park (1868, dem. c.1894); the Eastern District Police Office, Tobago Street (1868-9); Belvidere Hospital, 1400 London Road (1870-87, part dem. 1990s); Deadmeat Market, 13-46 Graham Square (1875); Queens Dock Pumping Station (1877-8); Yate Street Police Office, 976 Gallowgate (1877); North Woodside Baths and Washhouse, Braid Square (1880-2); Gorbals Public Baths, 140-54 Gorbals Street (1884); Northern Police Office, 19-27 Maitland Street (1890) and the Old Clothes Market, 61 Greendyke Street (1873, dem. 1922). In the late 1870s, he was instructed by Glasgow Corporation to draw up the plans for the city�s new Municipal Buildings (City Chambers), and was joint assesor, with Sir Charles Barry, in the competitions of 1881-2, for the building�s �Classic� elevations. Carrick retired in 1889, although he is credited with the design for the McLennan Arch, Glasgow Green (1890), which is a remodelling of the centre of the piano nobile of Robert and James Adam�s Assembly Rooms, Ingram Street, as a triumphal arch, when the building was demolished. Succeeded in public office by his former assistant, A B McDonald , Carrick died on 2 May, 1890.